Antigua Grammar School for boys was founded in 1884 and presided over for more than 40 years by the venerable and venerated Reverend (later, Archdeacon) Samuel Edmund Branch. It was founded as an Anglican school and run on British public school lines, though from the beginning was partly government funded. 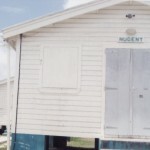 Parents paid modest fees, affordable for the island’s coloured middle class as much as by white colonial servants and planters who were initially its main patrons. Indeed, the school owed its existence to the Middle Class Education Act of 1882, albeit as an Anglican institution. In the early 20th Century it was open to accusations of discrimination by reason more of religion than by race or skin colour, though Catholic pupils were admitted and exempt from morning prayers. 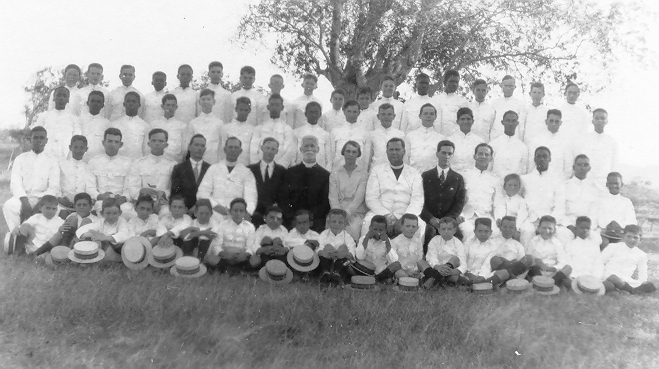 From an early stage a majority of its boys were black or coloured. The school initially occupied a house in St John’s High Street, which later became the Treasury. By the early 1900s, it moved to its present site in the area known as Lady Nugent’s, on a small hillock overlooking the Old Parham Road. My grandfather, George, my father, Oliver, and two uncles all attended the school. My father started his schooling in England, at Caversham, Reading, near his birthplace of Peasemore, attending Balmore School at the age of 8. When George and Gladys, my grandmother, moved the family back to Antigua in 1925, Oliver was enrolled at Antigua Grammar School aged 9 ½ joining class 2. His younger brothers Kingsley Osbern George (known at school as George) and Nicholas Ronald joined the school in due course. Total enrolment at that time was 70 or 80 boys who were taught in five ‘year’ classes. Sport, including cricket, football and shooting, was a compulsory activity. The boys went boating and swimming at St James’ beach. At school they wore uniform in the school colours of dark green and black as well as straw hats or ‘boaters’. Later, in the 1940s, clothing better suited to Antigua’s tropical climate was introduced. customary for the children of colonial officers, and I have not been able to discover why Oliver remained at AGS. Could it have been for financial reasons, as schooling in Britain was not cheap? Or did my grandparents believe an Antiguan school education was best for him? At any rate it served him well as he thrived there, winning prizes most years, according to my grandmother’s meticulous records. I have a Complete Works of Shakespeare that he was awarded in 1931. A photograph I found (as backing in a portrait of my grandmother!) 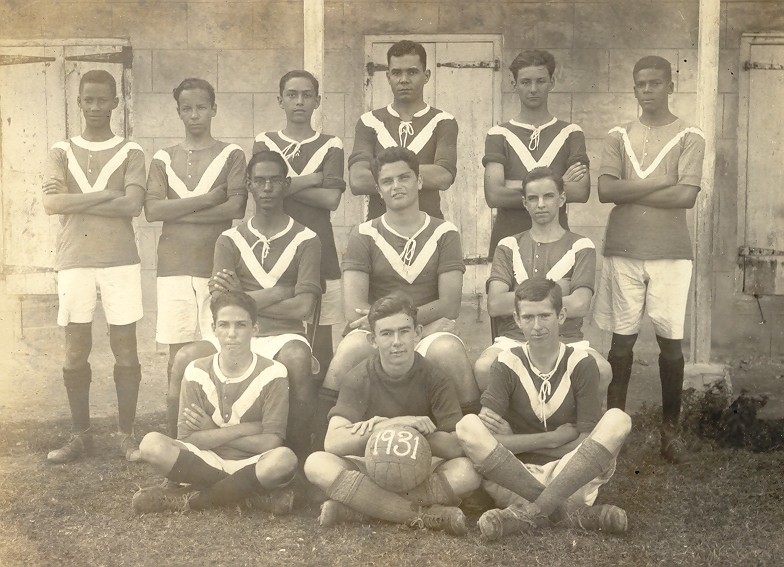 shows Oliver as a member of a school football team. Archdeacon Branch seems to have exerted a forceful and positive influence over my father as he did on all he taught and mentored. He was said to have been greatly respected by the boys and encouraged a sense of loyalty or patriotism to both school and country. Many old boys joined the armed forces when war broke out, including my father and uncles. Archdeacon Branch was a firm believer that there was more to education than passing exams. 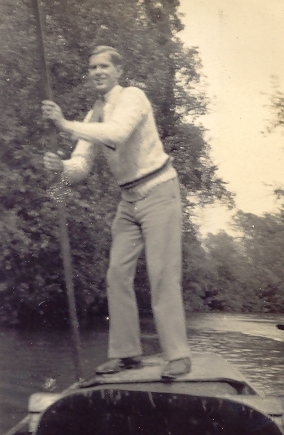 as money was short and he was exceptionally young: he went up aged 17 and graduated in 1935 before his twentieth birthday – something that is very unusual these days. He spent holidays with his maternal grandparents at Redhill, Surrey, and other relatives in and around London, though returned to Antigua during at least one summer vacation – by boat, the only way possible at that time. Antigua Grammar School survives to this day, indeed it flourishes, on the same Old Parham Road site, with a reputation for excellence well beyond Antigua, true to the school motto, Semper Virens, Always Flourishing. From the early days it had accepted boarders from the French and Dutch Antilles, Danish (later US) Virgin Islands as well as from the British Leeward and Windward Islands. One old boy recalls wartime contemporaries from as far away as Czechoslovakia and India. In the 1970s AGS passed from diocesan to full governmental control, a not entirely pain free experience as the school’s historian, E T Henry notes: “It appeared that there was a deliberate attempt to… elevate other Government secondary schools in an effort to submerge the prestige of the AGS. 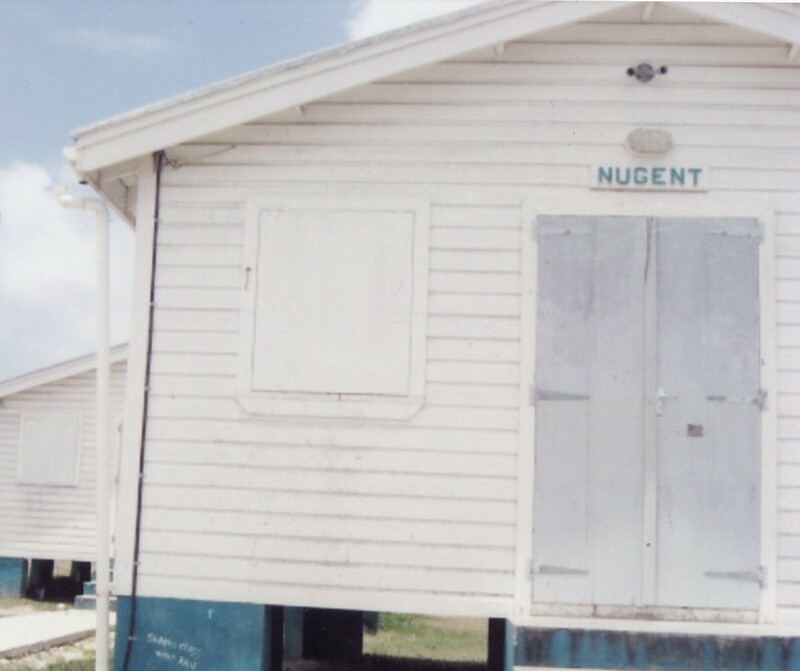 The argument appeared to be that anything that had to do with colonialism, class and status must be despised and destroyed.”Happily, the school now appears to have regained its position as one of the foremost educational institutions in the Caribbean. 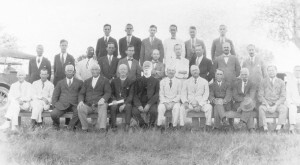 The school in March 1928. 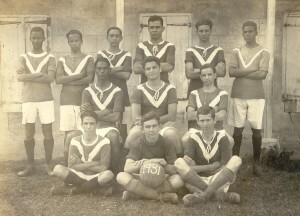 Oliver Nugent is second from right in the back row. 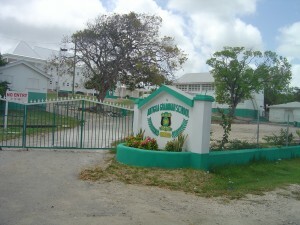 A sister school, Antigua Girls’ High School, was opened two years after the boys’ school in premises near St John’s Cathedral. This was attended by my great aunts, Monica and Gertrude (sisters of George), my aunts Monica, Peggy and Joyce (sisters of Oliver, Osbern and Nick) and Gertrude’s daughter Phyllis Howell.